Seamless gutters offer many advantages and long-term benefits that make them well worth considering for your gutter replacement project. In today’s post, V. Nanfito Roofing & Siding, Inc. shares an overview of the features and benefits of seamless gutters. Traditional gutter systems are made from sections of gutter material, each of which is usually about 10 feet long. These sections are connected together through seams, which are vulnerable to leaks. Seamless gutters, on the other hand, are made from a single roll of material that’s shaped on-site. Custom-designed to perfectly fit your roofline, seamless gutters provide better weather protection and require less maintenance. Sectional gutters require regular scraping and application of caulk or silicone sealant to ensure the seams remain properly sealed. This means you will have to stick to routine maintenance (ideally conducted twice a year) or hire a gutter and siding contractor todo it for you. Seamless gutters still require occasional cleaning and inspections, but this maintenance is nowhere as work-intensive, costly or time-consuming as that of traditional sectional gutters. Seamless gutters are also less prone to falling apart under heavy loads, which makes them perfect for homes located in areas that receive heavy rainfall. Thanks to their clean, streamlined look, seamless gutters can help boost your home’s curb appeal. Seamless gutters are installed with non-penetrative fasteners instead spikes, which not only adds to the clean look but also helps preserve the roofing structure, particularly the fascia board. The spikes used in traditional installation methods leave rusty streaks, which can be easily seen from the curb, creating an eyesore. They can also cause moisture damage over time. By choosing seamless gutters, you know you will not have to worry about—nor spend money on—such problems. 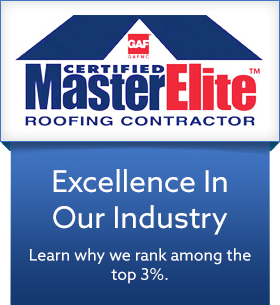 V. Nanfito Roofing & Siding, Inc. is your leading vinyl siding and gutter provider in Connecticut. Give us a call at (203) 639-1634 or fill out our contact form.